Melody & Mist: Waiting In The Garden, By Stephen Reid ~ 1873 - 1948. 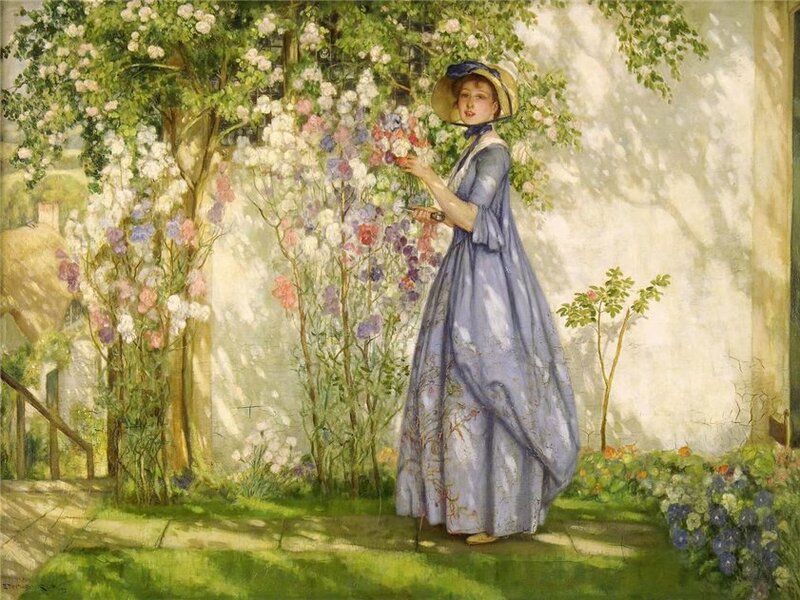 Waiting In The Garden, By Stephen Reid ~ 1873 - 1948. Stephen Reid was a Scottish illustrator and painter who specialised in Georgian settings and costume pieces. Born in Aberdeen, he was educated Gray's School of Art and the Royal Scottish Academy. Labels: Stephen Reid ~ 1873 - 1948. ~ Waiting In The Garden. Varens, By ~ Philip Richard Morris ~ 1838 - 1902.